Thomas has been in the trade for over 12 years. Gaining his first qualification as a hairdresser with Saks London. After getting more involved in men’s hair he decided to train in London as a barber. After gaining a vast amount of barbering knowledge from his time training and working in London, Thomas made the decision to move back to Wales and setup a barbershop. As the barber shop became more successful. Thomas began to train extra staff to work alongside him. Thomas then discovered that he had a flair for teaching and this was the new direction to take his career in the barbering industry. Thomas was then offered the opportunity to work and educate at a well know London barbering academy. From this opportunity the Thomas Lloyd barbering academy evolved. As an educator, Thomas has built up a solid reputation in delivering the NVQ in Barbering. Previous academy students have moved in to successful careers in the barbering industry. Many students now own and run very successful barbershops across the globe. As far afield as Australia, Canada, Lebanon, Italy and Belgium to name but a few. Past students have also gone on to have successful careers using barbering in television, films, stage work and some are now delivering their own barber education courses. At Thomas Lloyd Barbering Academy all our educators are professional working barbers that have worked for some of the most renowned premium barber establishments and academies. We always like to keep up to date with the latest haircut trends to keep our educators on top of their barbering game. Educators will attend regular courses and seminars to make sure they can pass on the latest haircuts and techniques to their students. We are pleased to announce a new 3-day fading course run by Matthew Guerin. Matthew is the British Master Barber of the Year 2018 and British Barber Association Britain’s Best Barber 2019. Mathew has been Britain’s best barber for 2 years running, winning 2 national awards against the biggest names in the industry. 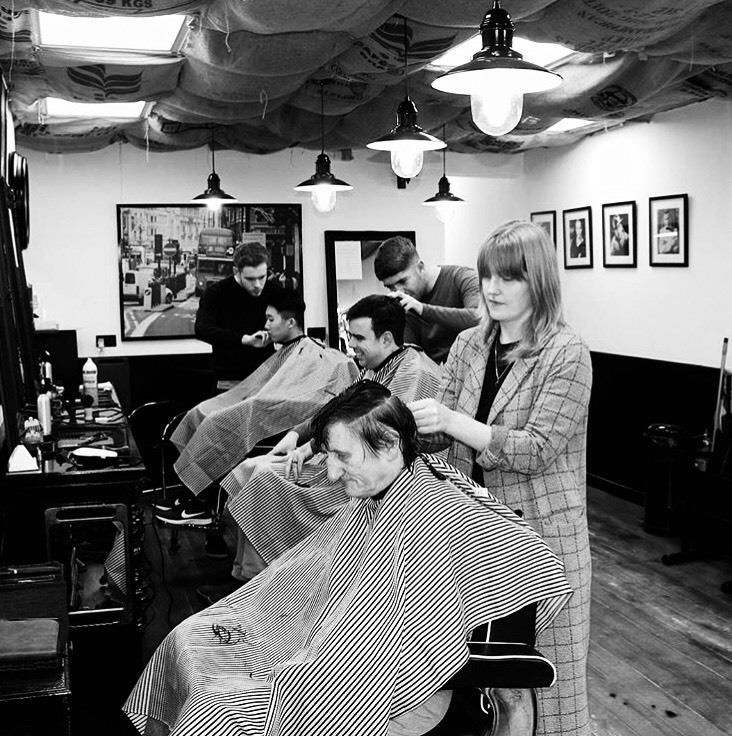 Thomas Lloyd Barbering Academy is Based in Wales’ capital city of Cardiff, the academy is easily accessible from Cardiff International Airport, Cardiff central railway station and the M4 motorway. Cardiff has a lot to offer UK and international students. When in Cardiff you can enjoy culture at the Millennium Centre Wales, retail therapy at St David’s 2 shopping centre, experience varied and exciting nightlife and attend world renowned sporting and music events at the Principality stadium. If you are interested in joining the academy to learn with us at Thomas Lloyd please complete the contact page and all your queries will be answered fully by email or by scheduling a call with you at a time that is convenient.